Snug between mountains and fjords, a meandering tour along Bergen's cobblestone streets will guide you through its seafaring heritage. The bustling city offers foodies, art lovers, and music aficionados plenty of venues to soak up the local scene. The wooden buildings on Bergen's iconic wharf are reflections of its history in the Hanseatic League. St. Mary's Church is Bryggen's tallest and oldest structure, dating to 1180. Built over Bryggen's first settlement, the main exhibition will take you back to Bergen's medieval past, and you'll see artifacts exactly where archaeologists found them. 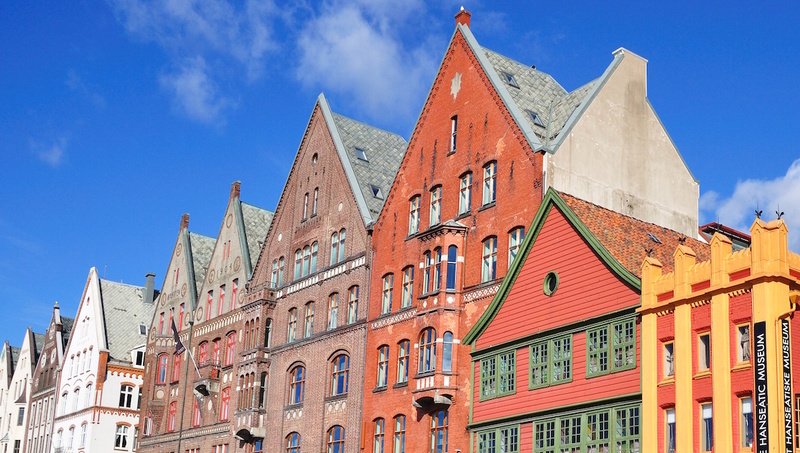 The museum provides wonderful insight into daily life of German merchants living and working here during the Hanseatic era. The Schøtstuene are the former assembly halls in winter. It's one of Norway's best-preserved fortresses. The oldest structure on site, Håkon's Hall, dates to 1250, and was a royal residence during the Middle Ages. Constructed in 1909 in traditional Art Nouveau style, Norway's oldest theater is a celebrated venue for classical and contemporary performances throughout the year. 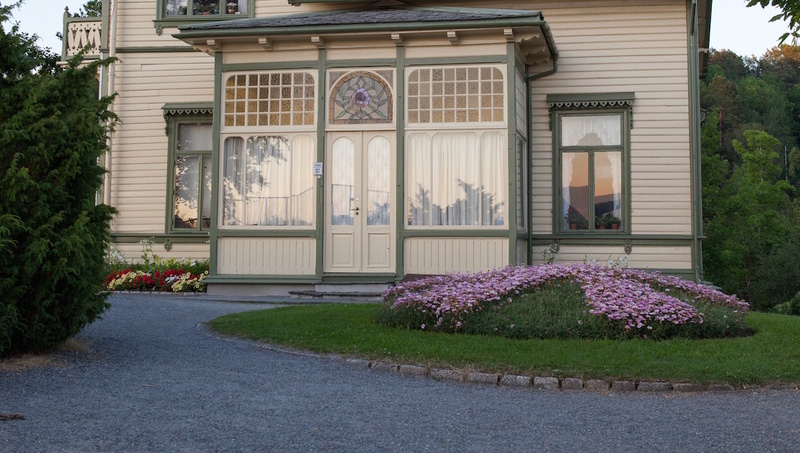 This villa belonged to composer Edvard Grieg, whose Steinway piano still stands in the sitting room. He used to lock himself in the red hut down from the house in order to work. Take the cable car to the top of this famous mountain and enjoy a bird's eye view 1049 feet above the city. Time it right for sunset and watch the urban lights flicker on. This renowned fjord boasts not only spectacular scenery of waterfalls, glaciers, and soaring mountains, but also activities, such as hiking and kayaking, for the adventurer in you. How many days to spend in Bergen? You could spend three days exploring Bergen's attractions, tacking on another full day for a trip to the Hardangerfjord. 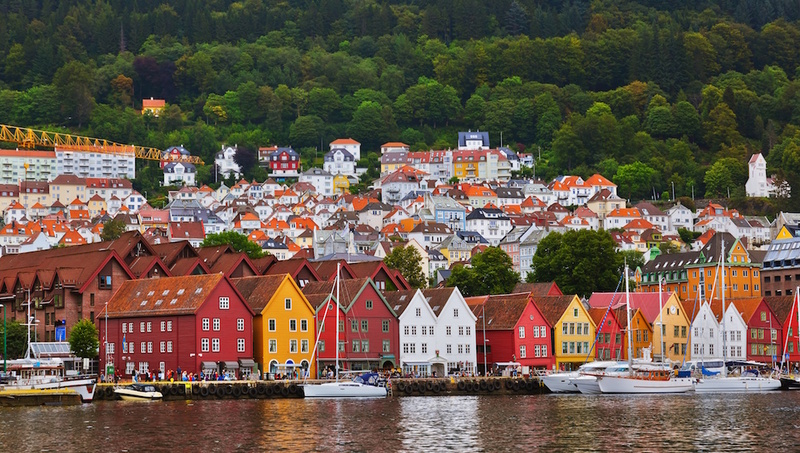 You won't need a car to go sightseeing in Bergen. It's small, compact center makes it easy and fun to get around on foot. 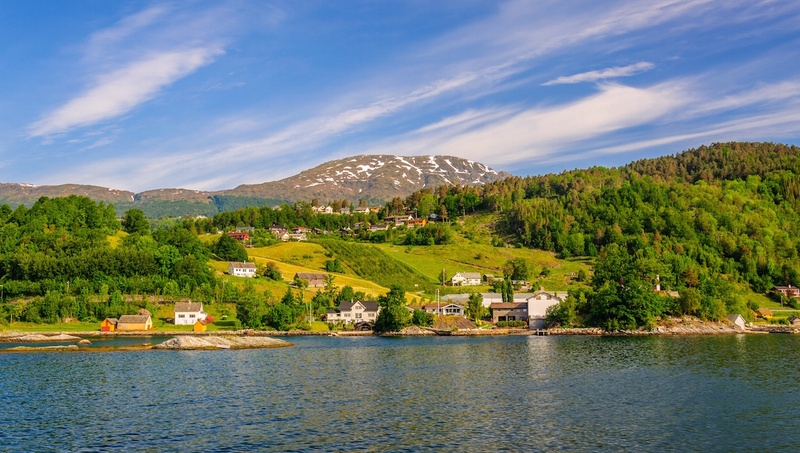 There are two daily departures on the Hardangerfjord Express to the town of Rosendal, and, of course, there's the option of taking a cruise through the fjord, which usually includes transportation by bus to the town of Norheimsund. 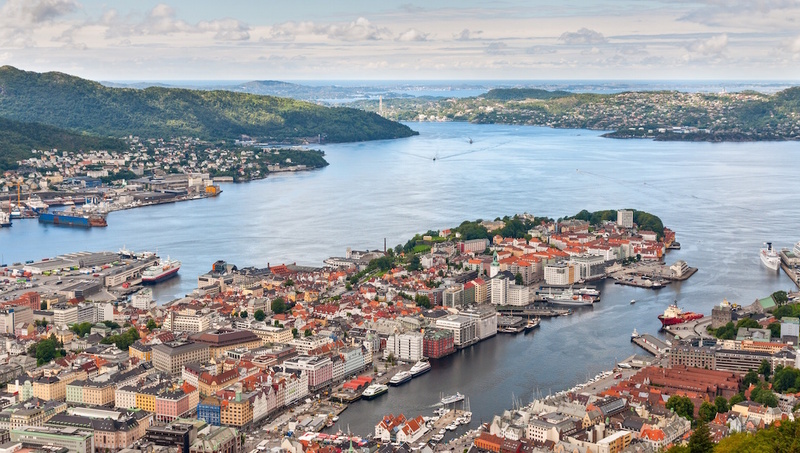 Bergen is a small city and geographically compact. Whether you stay in the very heart of it or just beyond it, you'll still be able to reach the main attractions. May is the best time to visit the city. The temperature is mild, while rainfall is low, and the city has so many events on offer. The summer months are also quite enjoyable, though. 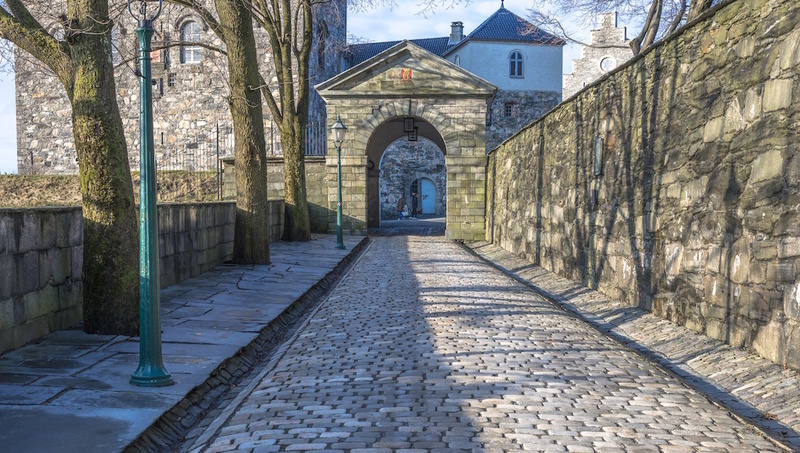 Want to discover all there is to do in Bergen? Click here for a full list. Just the 2 of us on this tour. Our guide Tommy took us to places we would have had difficulty getting to on our own - Greig's home & Stave Church which were the highlights of the tour and walking through the snow on our first day in Bergen. Tommy gave information on life in Norway and showed us around the arty streets of Bergen. Sabela was an amazing guide. She went out of her way to accommodate my interests into the tour. She was friendly and calming when a flight delay delayed the start time of my tour. I could not have been made to feel more welcome in Bergen and she set the tone for a wonderful and relaxing few days. I can't recommend Sabela highly enough! Tsair Trang was a very knowledgeable guide. A perfect way to be introduced to Bergen! Tommy was both knowledgeable guide and good company. I had contacted him a few days in advance and he tailored the tour to my interests. Some places I hoped to visit were closed, and he effortlessly rearranged the itinerary as needed. As I watched large groups getting on and off busses I was grateful to have a personal guide. Perfect intro from a local and enthusiastic guide! we really enjoyed our tour this (rainy) morning!! Great intro into beautiful Bergen. We got a lot of tips about the things to do around here and we certainly will make maximum use of it!